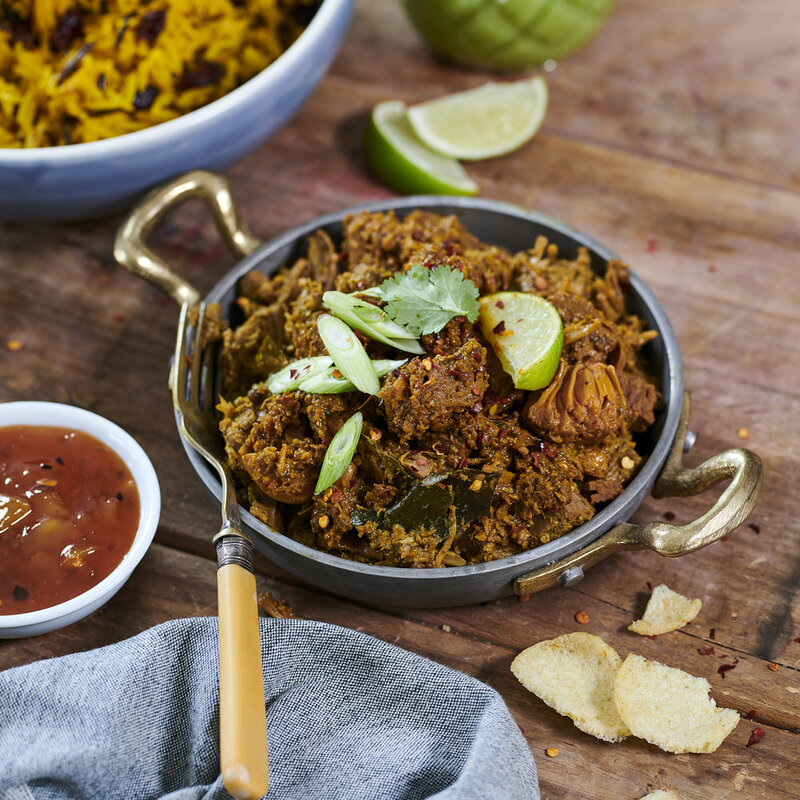 If you like your dinner hearty and comforting, then look no further; you’ve found the perfect companion. This wonder is so positively homely you’ll want to dive right in to it on a chilly winter evening! 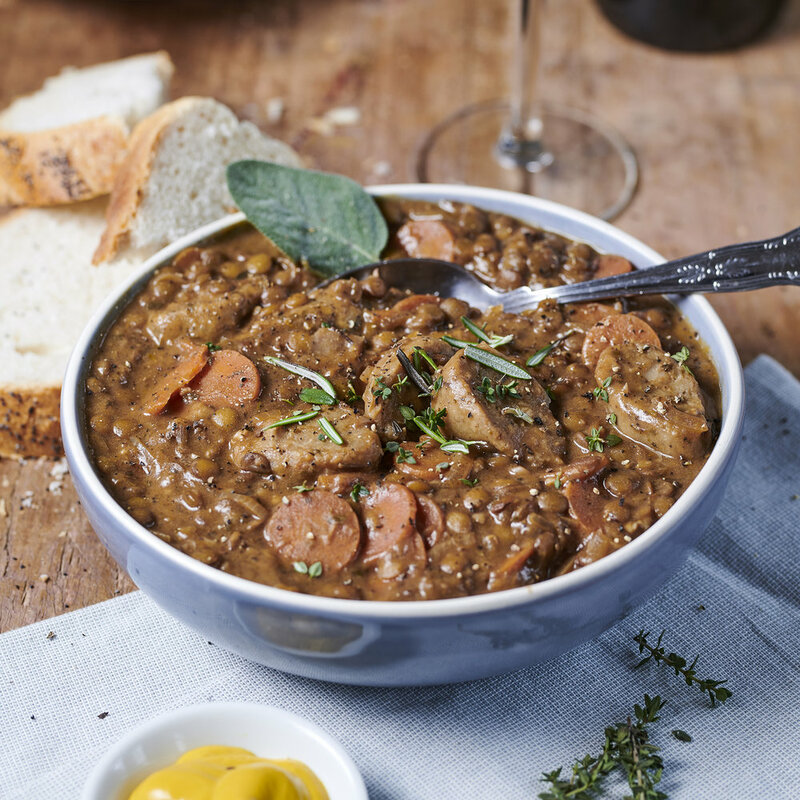 A red wine and gravy-based casserole of vegan sausages, shallots, carrots and our good ole’ friend lentils, this baby is perfect when coupled with jacket potato & your favourite green veggies. Or if you want to take things to the next level, we’ve found that it goes really REALLY well with our signature dauphinois potatoes. We’ve gently cooked the shallots in red wine, mustard and garlic before adding them to the dish, which brings forth additional layers in the flavour, helping to create those dance-worthy vibes. And if that isn’t enough, it also makes a truly AMAZING pie filling (you have to try it and see what we mean!). Serve it sprinkled with freshly chopped herbs (rosemary and thyme would be our top picks for this) and your favourite mustard and you’ve got pure poetry on a plate. Allergen advice: this dish contains mustard & sulphites.